We all want to get rid of our insurance companies. We don’t want Obama to tell us we can’t. Romney likes single-payer -- who knew?! My friends at FireDogLake will be happy. I'm not sure the boys at Club for Growth will feel quite the same way. Of course, I'm taking the quote out of context, as many people have done in the past 24 hours. 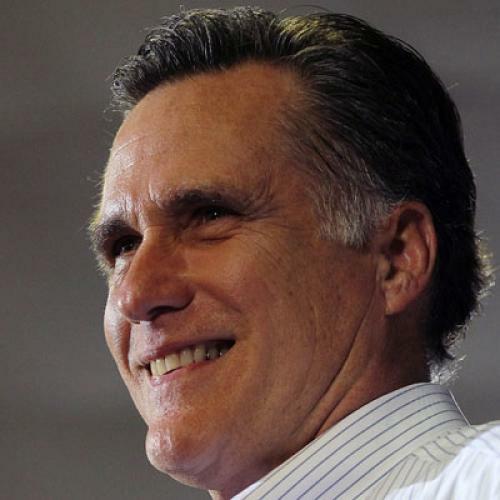 Romney never said he enjoys firing people, although the particular choice of phrase does reinforce doubts about Romney's perspectives on the economy. And Romney obviously doesn't want to get rid of insurance companies. He's a Republican who, as governor of Massachusetts, signed into law a health care reform that relies heavily on private insurers. But this points to the underlying problem with conservative dogma on health care, one Aaron Carroll points out today. Conservatives have great faith in competition to improve health care, by driving up quality and driving down costs. And while liberals like myself think conservatives put too much faith in competition, I think most of us would agree that competition has at least some value. You can see that today in the most deregulated part of our health care market: The market for individuals who buy coverage on their own. It has all the symptoms of market failure. Individuals lack decent information: Plan details are difficult to decipher and policies frequently turn out to be less comprehensive, or less reliable, than consumers realized at the time of purchase or turn out to need later on. Many individuals have few choices and those with serious pre-existing medical conditions may have no choices at all. The real issue, unfortunately, is that very, very few people have the luxury that Gov. Romney is endorsing. Let’s say that you are self-employed, and lucky enough to have found a company to provide you with health insurance. Then, let’s say you develop cancer. You suddenly find out that your insurance company stinks. So you fire them, right? Of course not. You’re screwed. Now you have a pre-existing condition. There’s not an insurance company out there that wants to cover you. So you don’t fire them. You scream, and curse, and cry, but you’re stuck. Only healthy people have the luxury of picking and choosing. Let’s also not forget that most people don’t find out that they’re not getting “good service” until they’re sick. Healthy people don’t make much use of their insurance, so they don’t know how bad it is. They only find out after they’re ill, and then it’s too late. It’s only fun to fire the insurance company if you’re sure you can go to another company to get what you need. Almost no one can. The lesson here -- and this doesn't apply to exclusively to health care -- is that sometimes you need regulation in order to make a market work. And while there's a very legitimate debate between left and right over how far that regulation should go, I believe the best evidence we have suggests it takes a lot of regulation, and some money too, to really make the market for health insurance functional. Romney should know this as well as anybody, since the law he signed in Massachusetts did exactly that. It organized the individual market, so all that people buying on their own can choose from among a variety of plans that they know will provide basic coverage and will always be there for them when they need it. The Affordable Care Act does the same thing, which is why Romney's latest quip is wrong, too. If you want to fire your insurance plan, you should be rooting for Obamacare, not against it. Update: I added links and changed a few words to avoid annoying repetition of the word "conservative."